Electric power conversion system (EPCS), which consists of a generator and power converter, is one of the most important subsystems in a direct-drive wind turbine (DD-WT). However, this component accounts for the most failures (approximately 60% of the total number) in the entire DD-WT system according to statistical data. To improve the reliability of EPCSs and reduce the operation and maintenance cost of DD-WTs, numerous researchers have studied condition monitoring (CM) and fault diagnostics (FD). Numerous CM and FD techniques, which have respective advantages and disadvantages, have emerged. This paper provides an overview of the CM, FD, and operation control of EPCSs in DD-WTs under faults. 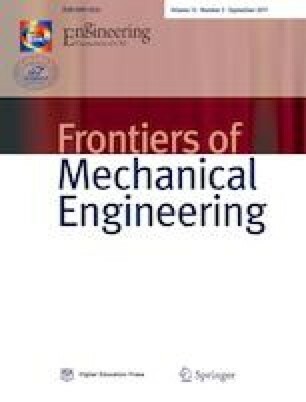 After introducing the functional principle and structure of EPCS, this survey discusses the common failures in wind generators and power converters; briefly reviewed CM and FD methods and operation control of these generators and power converters under faults; and discussed the grid voltage faults related to EPCSs in DD-WTs. These theories and their related technical concepts are systematically discussed. Finally, predicted development trends are presented. The paper provides a valuable reference for developing service quality evaluation methods and fault operation control systems to achieve high-performance and high-intelligence DD-WTs. This work was supported by the National Key R&D Program of China (Grant No. 2016YFF0203400). The program focuses on studies on service quality monitoring and maintenance quality control technology for large wind turbines. The project leader is Professor Shoudao Huang. The authors are also grateful to the National Natural Science Foundation of China (Grant No. 51377050) for the financial support.